In Episode 013, Dave talks with Betfair’s Senior Racing Trader Matt Cosgriff about how he analyzes a race prior to betting. Matt has significant experience in punting including many years with some of Australia’s biggest bookmakers. Three market specific success strategies. The key characteristics that separate a mug punter from a successful one. Key changes in the bookmaking industry that affect your strategy. The peak run mistake and how to avoid it. Matt’s surprising starting point analysis. A list of Matt’s favorite jockeys and why. David: Hi this is David Duffield speaking, and welcome to another episode of Betting 360. Today my special guest is Matty Cosgriff, he has many years’ experience in the bookmaking industry, and is currently the Senior Racing Trader at Betfair. I want to speak to him about what he’s learnt from seeing successful punters in operation from both sides of the fence, and how he goes about analysing a race, to see what we might be able to learn from that. So let’s have a chat with Matty. Thanks for joining us today Matt. Dave: Good to have you. And firstly if you could just tell us what your role is at Betfair? Matt: The Senior Racing Trader. So we have a bookmaking service in the background that offers the best of four in the tote extra. And my job is to manage the book, clients, manage the products as well, and also to just make sure that our division of the business is going swimmingly. Dave: So if you could just explain that, because most people think of Betfair as the exchange itself, and the prices that are fluctuating, and some are backing, some are laying. But tell us about your side of the business? Matt: Yeah well what we do is just for some people the exchange has been a bit complex. Or we’ve also just expanded our product range to also offer the best of four services. 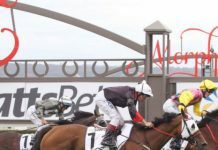 The best of the three totes or the starting price on course for all races, everywhere around Australia every day. And we also allow punters to use that same money between the exchange and the tote extra service. So therefore if you’ve got a horse that you probably backed at the overs, you may be able to alter between the two products. So it’s a great service, and people have taken to it very well. And it’ll just, it’s just also accommodating I suppose a greater range of clients that are out there. Dave: And so what’s your policy, or the company policy towards successful punters? Obviously on the exchange the market dictates what happens there. 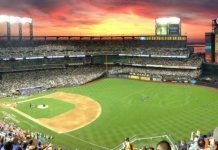 But you’re carrying some risk in your side of the business, so what’s the policy there, considering with the corporate bookmakers there’s the constant hassle from many punters, to be able to get set for a reasonable amount, or even get set at all. Matt: Nah, we’ve accommodated some very rather large clients. Which we’ve had in the past and we currently are accommodating at the moment. And to this point we’re only probably as the tote extra business within that field, probably only 18 months old, so we haven’t come across anything yet. Dave: Okay. So how do you think the everyday punter can get the most out of Betfair? Just from your experience before in punting, and from the bookmaking side of things, but now managing what you do, what advice would you give to the everyday punter to get the most out of Betfair? Matt: Well I think every punter when you bet you should always bet to win, no one bets to lose. And the best way to do that is to put as much percentage in your favour as possible, and that’s what the Betfair products do. The best of four will probably sometimes range around 104, 103% depending on the prices in that given point, and across the totes. And also with the exchange which predominately will be around 100% mark at all times. It virtually narrows down the margin between bookmaker and punter, so every punter is out there to win which I presume to be most of us. I would say that you would need a Betfair account definitely. Dave: Alright. So what was your punting apprenticeship, or how did you learn the ropes? Matt: I worked along the rails. I suppose I started on track when I was about 17. I worked for probably 20 bookmakers all up, given that back in the old days you could just go from one to the next. So there’s been a vast majority along the way. Only in the last few years I’ve gone to work with Mark Read who services racing over in Singapore and Hong Kong, which was highly successful both here in the business and for myself in learning. And been able to see a lot of the world through bookmaking, so back in Australia now, with Betfair launching into another avenue of their business. But it’s quite exciting times, and yeah it’s been a joy turning up to work every day. Dave: And so what did you learn from say firstly Hong Kong racing? I know Mark Read’s long been a fan, and there’s just a massive turnover there. But they do the form a bit differently to the way we’re raised to do it. What did you learn from Hong Kong analysis? Matt: I think the Hong Kong analysis is that you’ve got, virtually like a racing super league over there you’ve got the best trainers, the best jockeys, not so much the best horses, but the way they go about their racing is extremely a professional outfit. And you’ll notice that most finishes in Hong Kong are very much very close. A lot of horses have been graded very well. They’ve got a good panel of stewards over there, that overlook a very massive turnover business. And you know given that the money that flows around Hong Kong on their racing, a lot of the professional students are there, so it’s the best against the best. And the ratings just in that Mark Reed would use, the lessons that you’ve learnt along the way, were extremely important. And I think those probably spend a bit more predominately in Australian racing, bring a lot of those things back here, and yeah you pick up 1 or 2 winners it’s pretty good. Dave: So Hong Kong, at least the general public fall in love with trainers and jockeys because it’s such a small pool. Did you find that those type of things were over-bet, and there was some value elsewhere? probably the main combination over here, if John Size will train four winners, there’s a good chance that White will be riding all four and come the last they’ve got the fifth horse in. The roll ups accumulate across the totes and they have the first call. And the roll up gets dumped in, and the horses can go from $5.00 into $1.80 straight off the cuff because you’ve got all that money accumulating across the totes. Dave: Yeah I’ve noticed that myself. And I’ve found it pretty interesting that, you’d think so that big reaction, comes obviously whether it’s 8 or 10 minutes after the race they declare correct weight, and then the roll ups go in. And you know I’m pretty sure I saw one around about February or March. I think Zach had ridden 3 or 4 winners, and his next ride went from, I’m not sure, something like $8.00 into what $3.00 or $4.00, just because of all the roll up money. But it took a fair while to correct, so do you think that again that’s over-bet or exaggerated that effect, where a hot trainer or a hot jockey has too much a weight of money, and the value ends up being elsewhere? Matt: Definitely yeah. Especially early in the season too, they have a 2 month off period so everyone’s virtually got withdrawals by the time they get back. And usually have like the Casper Fownes/Brett Prebble combination usually get off to a good start, so everyone’s ready for them. So your roll ups on those meetings where they do train their winners, you do find that you can find a lot of value in the market. 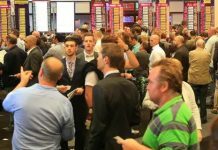 And like you say, millions of dollars in the market are therefore, by the time the punters go to bet, there is a lot of value outside of those successful trainers, who are having a good night at the meetings definitely. Dave: And what about Singapore? A little bit more of an up and coming location. And they’re putting a lot of effort into growing the, I suppose the quality of their racing product. 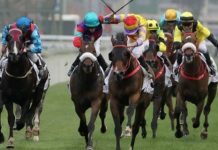 What did you learn in looking at Singapore racing? Matt: Yeah, love Singapore racing. The quality’s not as strong in calibre of horse racing, but craftsmanship of the best jockeys over there. And there’s no doubt I suppose in Moreira, the magic man over there. And you’ve still Laurie Laxon a champion trainer from New Zealand…and he’s over there now, and Johnny Meagher’s just come back from over there, Michael Freedman’s over there. So the calibre of horsemanship over there is still very strong, and getting stronger, I think Kranji even as a recently built race track, it’s such a, for the punter it’s great it’s got the … out the back, the horses walk through the tunnel, and the punters follow them throughout the front. It’s very user friendly from a person going to a race track. The weather’s awesome, as you know if you’ve been to Singapore. And it’s just a really progressive place to be in for racing at the moment, then again it’s not as big, it’s nowhere near as big as Hong Kong, and that at the same time it’s just a lot of local support. Dave: So just back to the local scene then. You mentioned you worked for many oncourse bookmakers and some off course. But in the people that you came in contact with, and working for one of the biggest, if not the biggest Melbourne oncourse bookmaker. What do you think was separating the mug punter from the successful one? What characteristics did you see amongst the more successful punters that you were dealing with? Matt: Yeah, I usually found if a successful punter they’d backed the first horse that goes off. As I say the one you don’t want to lay, the one that goes off first because as a percentage they’re obviously that’s all stuff at the wrong price. Successful punters also knew to, say if you worked off the rails, a successful punter will try and bet top fluc with you to not affect the price on the rails, because that’s where the prices was going to be recorded from. But then again too, they were very clever in their timing, execution was always good. And like I say, there was a 9/2 call and a 4/1, but 4/1 to one was the fluc they’d come and back the 9/2 before it hit the fluctuation screen, they were very quick to move. The whole games changed now though, it’s nowhere near to what it used to be out there. There used to be a lot of cash, now here is no more cash really. A lot of the game is now online, on the mobile phone, that never used to be the case, it was just telephone betting or for cash, they were the only two. And the credit punters now I suppose are betting more bigger, and more heavily, with the corporate bookmakers than what they are with the rail bookmakers. Given that now they’re just small businesses, the bookmakers, the bookmaking industry has now gone to a big industry. So it gets there, the clients who probably used to bet on the rails, where also now betting off the rails, betting off course with the bookmakers. Which I suppose back, oh when we’re going back now 10 years ago probably Alan Tripp, Number One Betting Shop, Mark Read at International All Sports they were probably only about two, they were probably the only threat. But now these days there’s the big corporate structure, the set up, and the technology which is around. 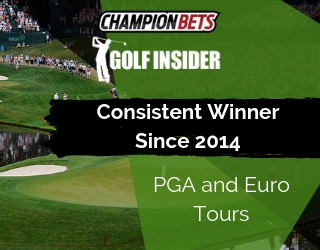 They are now more popular places for the clients to go to than being on course. Dave: It’s interesting. I asked about what the characteristics were of successful punters, and pretty much everything you said was about staking/shopping, it was about trying to get the best price available. That you didn’t mention too much about, you know they were all consistently focused on a certain aspect of the form or way of coming up with their selections. A lot of what you spoke about was just getting the best available price. Matt: Yeah that’s true. I mean it’s always been the value of the price. At the end of the day there’s a lot of difference long term between taking 9/2 and 7/2. And there’s a, you’ve got to keep taking top odds all the time, because at the end of the day you know they’re working for small margins, so you’ve got to make sure that you get that margin advantage. And that’s no different from today, no different whether you’re betting on sports or on horses. All the smart players usually, you won’t see them taking bottom odds. So it’s very much to say the fact that, you’ve really got to know what you’re doing. It depends on what they do with their form, there’s a lot of blokes who just zero in on certain angles of form. 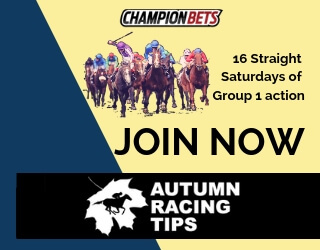 You could also always tail certain stables, certain jockeys, that they may be following, you know a lot guys have bet on strike rates, there’s a lot of things you can do with horses. And then working with Mark Read, he was very much rating both form for horses, looking at horses, seeing their condition. There’s a lot of things that people do, different aspects, but at the end of the day no matter what they bet on, or how they do their form, it all comes down to taking the right price at the end of the day. Dave: And you mentioned the Mark Read way. Is it true that he’d always be wary of horses coming off a peak run? That a lot of people might see a really good performance and expect a horse just to replicate that next time around. He’d be really wary that they were going to put in a sub-par performance next time, because that one would have taken a lot out of them. Matt: Well I think the best example in current racing that I can think of anyway, there may be others out there, but Loot n Run was a very well backed horse in Melbourne. However they judged its run at Sandown as its peak performance given, I mean Greg Miles called it a winner, and I suppose everyone else did around Australia … But the reality is that it’s a horse that’s, they’re not like cars. I mean, you go in a car one day and push to 200kms, you can jump in the next day and push to 200kms and the car will consistently go to that speed. But horses aren’t like cars, and if you tell a horse to go at a certain speed and to a certain effort, there’s very much a good chance that the horse won’t be able to repeat that performance the next start. And horses that are, especially locally run, will run along on wet tracks, longs trips, go hard early to be hard at the finish. You know when a horse has reached its peak it’s pretty hard for it to come back…So yeah always look for a horse coming off, especially when they’re coming off a peak and they’ve been given more weight. You know it just adds fuel to the fire, that you know they’ve really got to step up and not only top their performance again, but they’ve actually got to go better, so there’s a good chance it probably won’t happen. Dave: What about horses that may not have had clear running room, clearly they looked on face value they had something to give but they just weren’t able to get enough room to show that. I remember reading years ago, Mark Read had written an article I think for the Sportsman back in the day, and mentioned that unexpended energy, or something like that, whereas I suppose it’s the reverse of what you’re saying of a peak run, when a horse looked to have something to give, wasn’t able to do that in its next run, it would just have that unused or unexpended energy ready to go. Is that anything that was factored into the calculations when you were working with Read? Matt: Yes, it’s a lot of that stuff. And a lot down that path, more mathematically, scientific way. But yes that’s the way it was. But you know it’s given that you haven’t been pushed to your limits, so therefore you’ve still got the ability to do it the next start. The big trick is that when you’re looking for those type of horses, if the trainer is keen to back them up quickly, then you’re more than likely got the horse will improve on that run. But also at the same time you know he’s got that energy. It’s like watching videos, when you see that horse that couldn’t get out, and there’s a horse last year I think I picked up on that one was Artic Flight, and it was a standout and probably the run, didn’t look very favourable, but at the next start you just knew it had that ability to be able to finish off. And he knew what sectionals it could run the start before and you know you’d suppose if a champion can get over the mark, but you’ve got to get into the markets early when you have to bet on those horses. Dave: And so do you think those horses unlucky in quotes, there’s still some value there? Because there’s been the argument the other way, that sometimes everyone blackbooks or highlights the same type of horse, and sometimes those horses end up being unlucky again next start it’s just their racing profile. But do you think there’s still some value there in following horses like that? Matt: Oh definitely, yeah it is. But also too you’ve got to respect the grade it’s going to. You know you might see a horse that’s probably come down to 78 class down to open class, there’s a good chance that he’s up against it, despite the fact that he was unlucky in the start before. If their trainer sets the bar too high so that probably withdrawals it from the equation, but for everything else definitely yeah. Dave: So what’s your starting point in analysing a race then? Matt: Well starting point I think always, I’m always looking towards what other people say. Deane Lester’s always big on maps, he works the race out and I totally agree in the way that it’s a bit like trying to predict the football score. You say with two teams lining up, they’ll kick a certain score, it’s a bit like the same with a race. Is that you’re going to say, well he’s going to go to the front, there’s not much pressure, the leaders up front, they’re going to get a better run than those out the back, and you can start from there. So once you’ve got the map you put it aside, then you go through the actual form, and then you come back together and then you try and put two and two together. And that’s pretty much, you know you come out with your selection … whose got the best chance, and who hasn’t. But then again too I mean once you’ve done your form you’ve got to keep doing your form. And b saying that throughout the race day you have to accommodate for the, you know I always look at barrier pattern. Always try and say I usually give a good indication of where the tracks at, so then horses are led down even though they’ve travelled wide, you know they finished off very well. So even though there’s not a distinct pattern you can see, you can always get a gauge of how the track rates will be on the side up the back. I think yesterday it was good, we were doing the track pattern throughout the day, you know you could see how Brad … was racing three wide down the side and then coming wider in the straight. You know he obviously has an idea of where that track was going to be, it looked like…coming out so early, but these jockeys today have a good indication of where that track should be. Dwayne Dunn’s a magician at it. Watch actually where they ride in the races, because they’re actually going to be where the best part is. Dave: So I know you follow the Melbourne racing pretty closely. Who would be a couple of jockeys that you’d be very happy to be on-board if you were having a bet yourself? Matt: Oh well you can’t go past Glen Boss. He’s one of those riders that are going to dominate the premiership. He’s just done a remarkable job , and not potting’s anyone’s age, but you know to do it at his age, and he’s just had a knee injury, you know he’s had a lot of updates on his body throughout the time. He’s extremely good, he’s a very well balanced rider. Michael Rodd, especially from a strike rate point of view, I think Michael Rodd’s career, he rides at 16%, and when you break that down some of the horses that he’s ridden in the last month that have won even better, that strike rate straight away plugs in a good bet. I think he rode one, he rode Goldslick I think in the last Flemington, a couple of weeks ago. He’s just very well balanced, extremely good timer of the horse, he uses the horse to preserve his own energy in front of him. I think Brad Rawiller has always had a good strike rate, not that he gets them right all the time, but he’s very good, consistently long term over a period. And I think also other jockeys like I said before Dwayne Dunn, I think he’s remarkable. And yeah just I suppose jockeys that you always look out for, especially the ones on the up. I think Jason Maskiell has got a very bright future, hopefully if things can go well for him, he’s very good the way he gets over a horses ears he really punches them out well. But he needs to have the ability, I mean you might look at his strike rate and say he’s only had The Cleaner in the last 2 weeks, but his averaged priced horses I think been around 30 or 40/1. But if you get the chance on one in the market I’d definitely be looking at him. I think Nolen’s horses are very well over bet in Melbourne. I think with Nolen through no fault of his own, but being the number one rider at meetings, usually find that some of his horses are just way over bet long term. If you’re trying to back Moody Nolen combination, it’s safe to say that you know you’re destined to lose. So you’ve really got to be careful when you’re going to pick the one that he rides for meetings. I think there’s another one where, jockeys are very good front running riders. I think if you’re looking at horses to get over distance trips, Darren Gauci, supreme rider or timer, the way he can just get that sectionals in his head, he can get the sectionals right, and he knows where to be, you know when he has to be, and how to rate the horse, and get the most out of his horse right on the line, he’s very good like that. So that’s probably the crew of jockeys I would say in Melbourne, I would be kicking off with and doing the form. Dave: Okay. Just to finish up then, is there one horse in particular, we’re not that far away from the spring, is there one horse in particular that you want to follow throughout the spring? 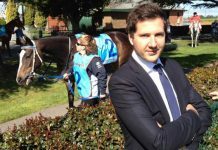 Matt: Well, I mean not to state the bleeding obvious but that Prince Harada that Tony Vasil had, headed towards the Caulfield Guineas. Usually horses that run this time of year, I suppose you see horses that you think they could be good this time of year , but they won’t be much good in a couple of months. I think he’s very progressive, you know what future rating he could actually get to no one really knows, he’s just keeps raising the bar. And what he did, run down a very slow pace in Moonee Valley that day, that was just something else. But really you know you just don’t do that, especially at his age with so much more to learn and to grow, get stronger. I think I’d be watching him definitely to the carnival, albeit I don’t think the odds will be much good. But that’s definitely something to watch, you know going through international horses, the staying races are getting a bit tougher, you’ve got these horses you’ve got to train they go from overseas to here, so it’s very much a wait and see game, but you’ll probably know more about things in the next 6 months or so. Dave: Excellent. Alright really appreciate your time today Matt, and we’ll leave it there for now. Matt: No worries, thank you very much.